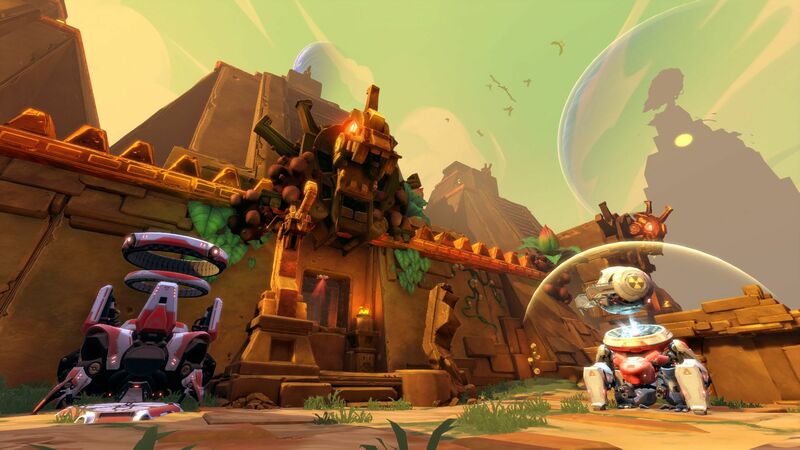 Back when we outlined our vision for post-launch Battleborn content, we talked about all of the free content that would be coming your way, such as new modes, characters, and maps. We’re pleased to reveal to you now three new maps that are coming in the next update. 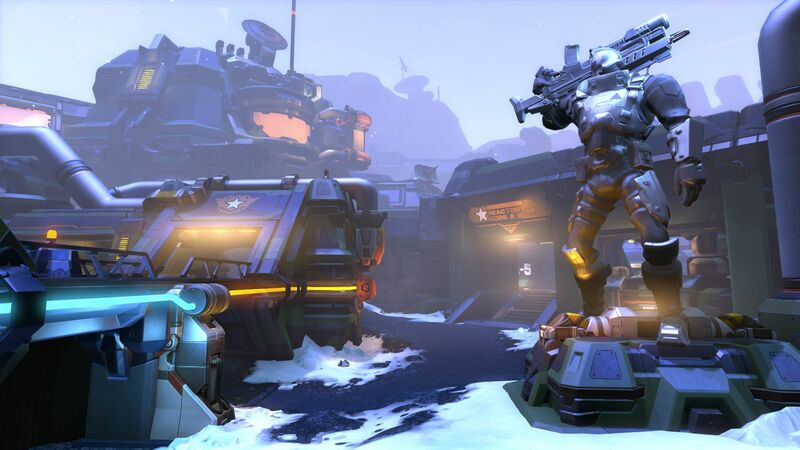 Each Competitive Multiplayer mode will have a new map that also brings a bit of a new spin on the classic Incursion, Meltdown, and Capture modes. Let’s take a closer look at what’s coming in the next update! Ekkunar, the last large green planet in the universe, has always been highly contested by those fleeing the darkened universe. All five factions have attempted settlements and bases on the planet, vying for territory and resources. On the Monuments map, your team’s goal is to stop other factions from settling within one of the largest Aztanti settlement ruins on Ekkunar. It will be a brutal fight to gain territory and drive the other team away before they can gain a foothold among the mysterious and powerful secrets of abandoned Aztanti technology. There is a Skill Jump path over the middle of the map leads to your first sentry, and you’re going to want to defend this point aggressively. If left unguarded, agile enemy players can sneak in easily at this spot and get access to your sentry. A high ledge overlooks the Minion lane entering your first sentry, and is a perfect place for a long-rage character to dominate. As a bonus, there’s a nearby Shard that can be farmed when your sniper isn’t raining pain down from this perch. You’ll want to keep your Logistics nodes built and maintained to keep your Minion waves running at top speed. 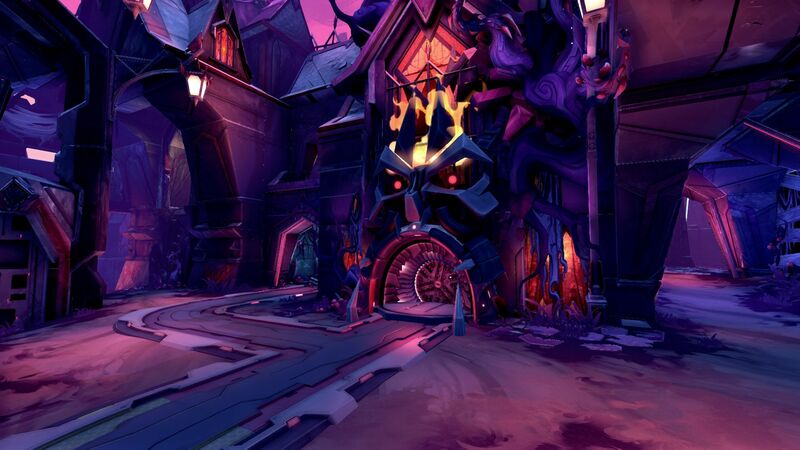 Keep an eye out for a back route to sneak into your enemy’s Boss Sentry area. Monuments hold advantages for all kinds of playstyles. 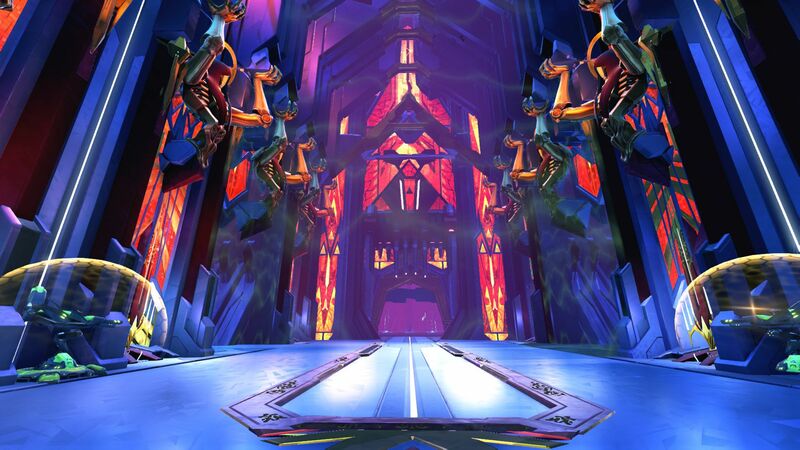 As mentioned previously, the Skill Jump pillars in the middle of the map are a back flank route to the opposing team’s sentry which can be exploited by agile characters. Brawlers and other high DPS characters can shut down the Minions lane leading into their Sentry areas while your long-rage players hold the high spots. And for stealthy characters, there’s a Thrall cave under the center of the map where you can sneak in close to the enemy’s first sentry. Despite a planet-wide Thrall rebellion, Minrec has established a new recycling/appeasement facility in the lower city slums of the Jennerit planet, Tempest. Your team must race against the enemy to hurl minions into the incinerators and cause a meltdown to appease Minrec. 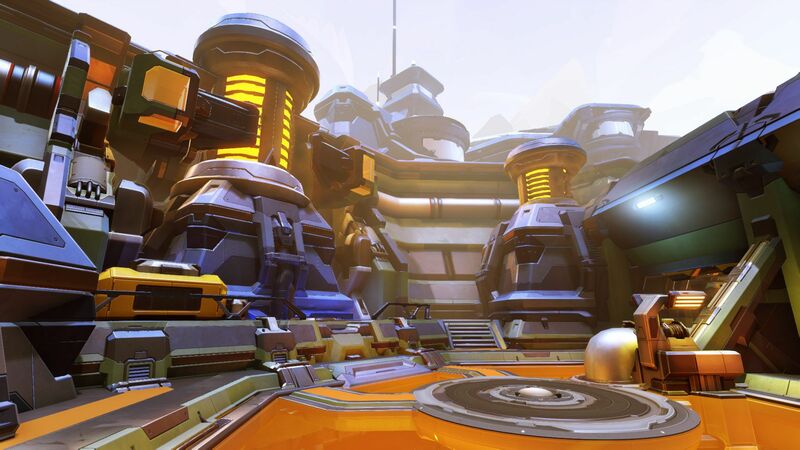 Key turrets in the backfield of the map become increasingly important during the second half of the match. Outskirts has very strong sightlines for these backfield buildables, so you’re going to want to keep them up and running. You’ll want to build your Super Minions before the enemy grinders move. Getting Super Minions all the way to the back grinders will be difficult. Make it a point to claim the second floor of the Mausoleum in the center of the Slums lane. It’s an easy point to defend, and gives you control over the lane if you own it. Quick and agile characters will be able to use the hanging coffin in the middle of the slums lane to skill jump their way onto the second floor of the Mausoleum, gaining a key strategic point. 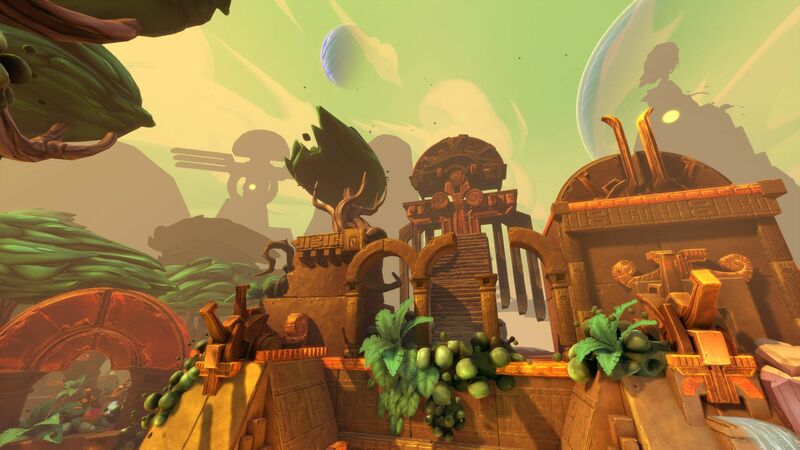 Long-range characters should use the sniper roosts that sit above each lane as they are easy to defend and offer nice sightlines to the minion waves. Heavy-hitters will want to hang out in the middle of the map and make use of the multiple doorways there to gain access to both lanes and offer quick support where needed. As for stealth characters, they’ll want to spend time in the bottom of the Mausoleum in the center of the slum’s lane. Here it’s easy to break line of sight and confuse your targets when you go in and out of stealth. 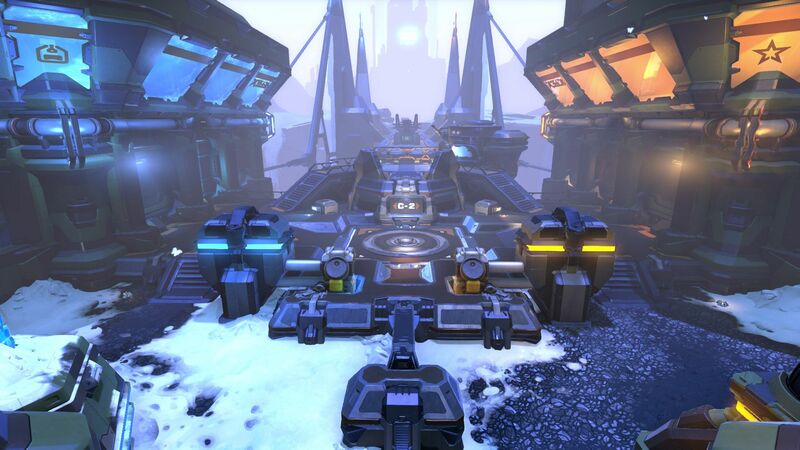 The Peacekeeper Ocoban Mining Facility has been freed from Varelsi and Imperium control on the icy moon Bliss, thanks to the Battleborn! Now, race other teams to help rebuild the base by activating the energy collectors to re-power the facility. Look out, though! Winning reconstruction contracts can be a competitive and brutal affair! On Snowblind, Point C is the most remote capture point but also the most important. It offers some of the strongest defense and longest sightlines into the rest of the map. For long-range characters, hanging out at Point C will give you a clear view of nearly half the map. If the enemy team owns Point C, use the bridge in the center map to pick them off with some long-range and careful shooting. Double and high-jumping characters will be able to move more easily through and across the center of the map, so utilize their mobility to your advantage here. If you’re a melee-focused character, Points A and B, and the area in between, will provide some of the best attacking opportunities while still giving you a quick spot to retreat to in a pinch. 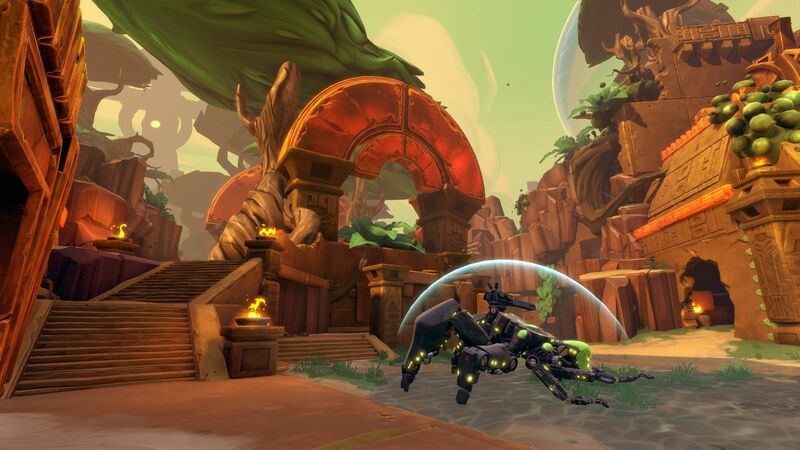 These new maps are just some of the great content we have coming up in the next Battleborn update! 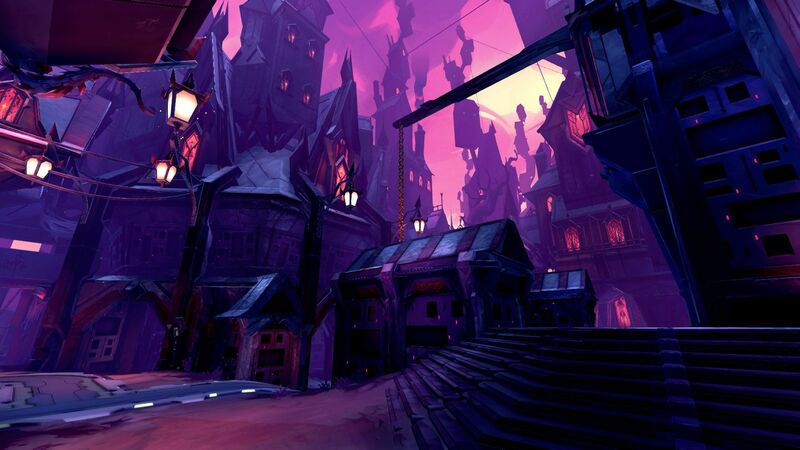 For more information on what else you can expect, stay tuned to the Battleborn news blog, Twitter, and Facebook.